Box Dimensions (LxWxH) 10.6 x 8.1 x 6.6"
NP14ZL 2.97-4.79:1 Zoom Lens is rated 5.0 out of 5 by 1. Rated 5 out of 5 by CLE Video Producer from Great Lens I'm using this lens with a NEC NP-PA500U to throw a 1080p image 40' and it looks amazing. The lens produces crystal clear images. What more can i say? You will not be disappointed in this lens or the PA500U. 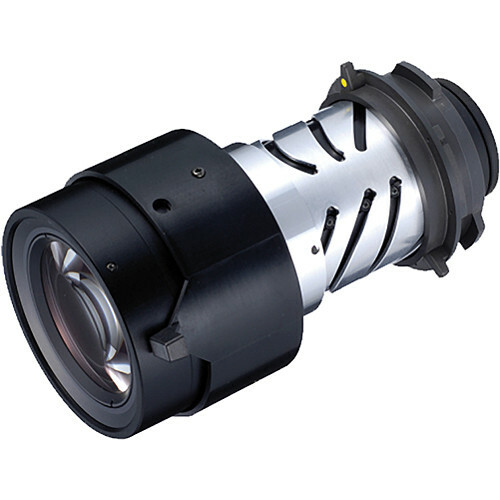 Will this lens work for the NP-PA803U Projector?